As promised, BMW has confirmed that the long-awaited M8 is officially going to be a thing. Based on the 8 Series of which a concept was unveiled a couple of days ago, BMW M's upcoming flagship coupe will add their typical recipe of larger intakes, better brakes, quad sports exhaust, and even more handling and power on tap compared to the regular 8er. The German automaker states that the M8 and the standard 8 Series are being developed in tandem, ensuring the M8 is not simply an 8 Series with a bunch of go-fast parts strapped on after the fact. 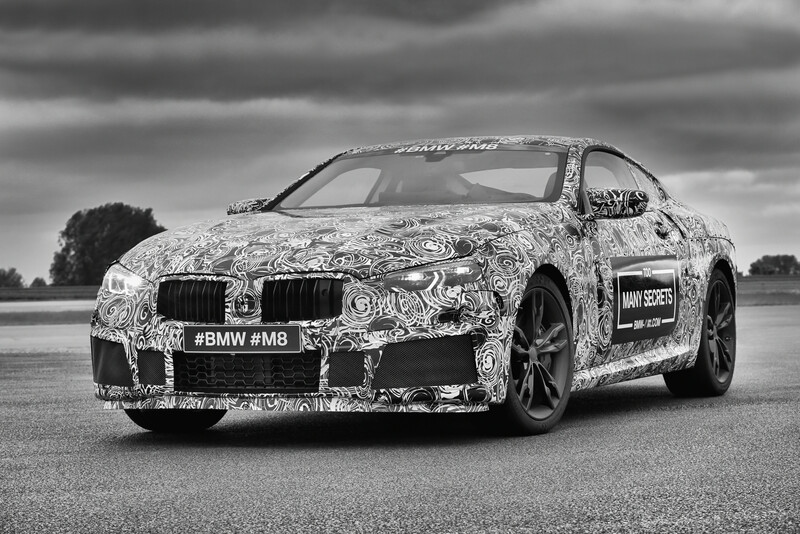 The camouflaged M8 prototype you see above will show its face in the (mostly wrapped) metal at the Nurburgring 24h this weekend. According to BMW M President Frank van Meel, "The future BMW M8 will build on the genes of the 8 Series and augment its DNA with added track ability and generous extra portions of dynamic sharpness, precision and agility." Sounds promising. Also being developed is the BMW M8 GTE race car destined for Le Mans—effectively leading the charge on BMW's return to the storied endurance race, a race BMW hasn't partaken in since 2011. The M8 GTE is set to make its race debut at the Daytona 24h this January. Shortly after unveiling the Concept 8 Series, BMW is already building hype for the inevitable M8. Feast your eyes on the return of BMW's big coupe. The big Bavarian coupe is back. Tremendous profit potential means BMW’s “best failed experiment” might get a second chance. UK ad watchdog ASA bans ad for speedy car because it advertises car's speed.